When I think of Rosevelt Colvin, I think of the glory days when the linebacking core for the Patriots was Bruschi, Vrabel, and Colvin. Doesn't get much better than those three guys on the same defense. 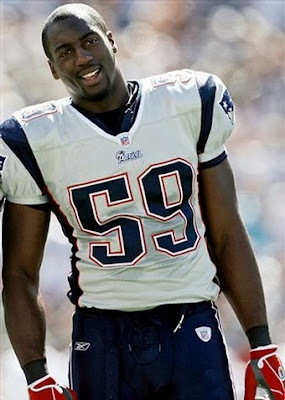 Colvin recorded 26.5 sacks in six seasons with the Patriots and compiled 184 tackles. Stats aside, Colvin was a part of the Patriots dynasty years and won back to back Super Bowl rings in 2004 and 2005 in Super Bowl XXXVIII and XXXIX.